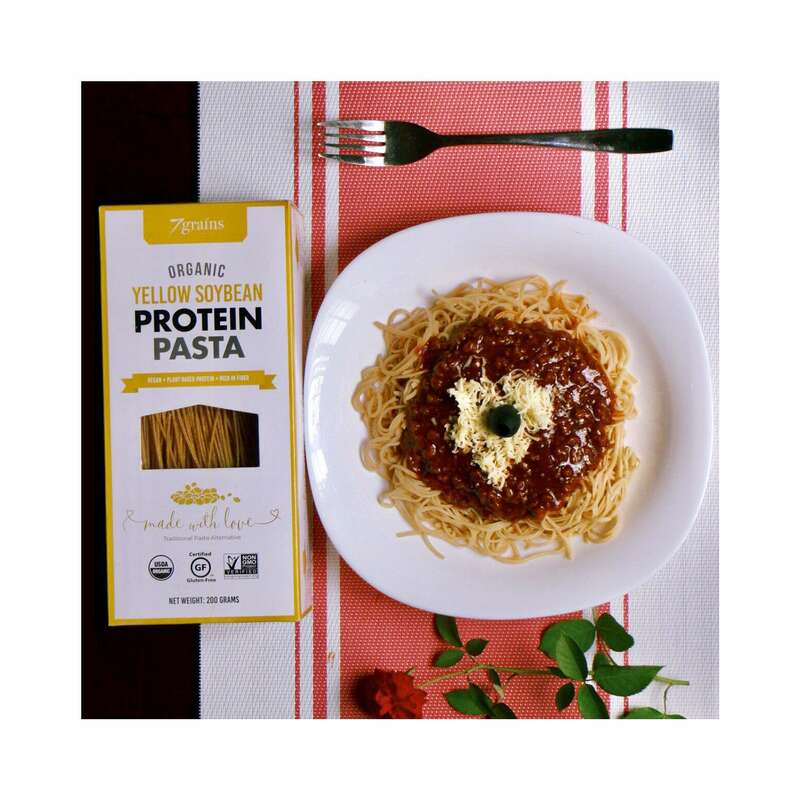 Bring you kids’ favorite Filipino-style spaghetti to a healthier level by using 7Grains Organic Yellow Soybean Pasta noodles. Low in carb, high in protein, high in fibre. 1/8 tsp ground black pepper. Over medium heat, sauté tomatoes until soft and mushy. Add in garlic and onion. After about a minute, add ground beef and stir for about 8 minutes until the meat is golden brown. Add thyme, basil, paprika and black pepper. Pour the tomato sauce, water, ketchup and bouillon cubes. Stir constantly and let it simmer for another 5 minutes. Set aside and pour the sauce over your cooked noodles, topped with grated cheese. *** More recipes available on our INSTAGRAM and FB account.